App stores are everywhere these days. Whether you’re using iOS or Android, you can get all your apps from a single location and have them automatically update in a consistent way. If you’re using Mac OS X, you can use the Mac App Store to get your software. Linux users use package managers Your Guide to Ubuntu Repositories and Package Management Your Guide to Ubuntu Repositories and Package Management Read More with large software repositories to easily install all the software they need. There’s just one platform that seems untouched by time: the Windows desktop. 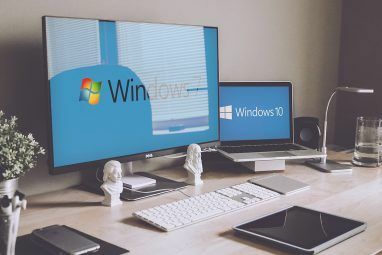 Luckily, there are a variety of tools that aim to provide an app store for Windows desktop programs, allowing you to easily install and update software on your Windows desktop. Microsoft is even adding an app store to Windows 8. However, the Windows Store Simply Install Apps And Games In Windows 8 Simply Install Apps And Games In Windows 8 One of the key benefits of the new Windows 8 Consumer Preview is the addition of the Windows 8 Store, absent from the previous Windows 8 Developer Preview. This new tool streamlines the process, allowing... Read More won’t include desktop programs – it will link to them, but there’s no streamlined installation process or built-in automatic updates. Allmyapps is an app store for your Windows PC. It offers over 16,000 apps. You’ll find everything from Minecraft 6 Amazing Minecraft Creations That Will Blow Your Mind 6 Amazing Minecraft Creations That Will Blow Your Mind Alright. Maybe “blow your mind” is too extreme of an idiom for something as simple and not-so-mind-blowy as Minecraft. However, some Minecraft creations truly are jaw-droppingly awesome. In fact, there are quite a few Minecraft-related... Read More to antivirus programs Free Anti-Virus Comparison: 5 Popular Choices Go Toe-To-Toe Free Anti-Virus Comparison: 5 Popular Choices Go Toe-To-Toe What is the best free antivirus? This is among the most common questions we receive at MakeUseOf. 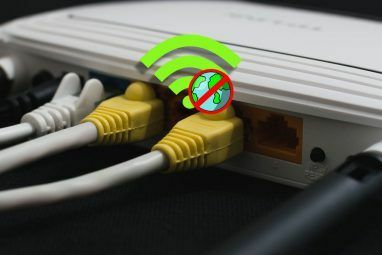 People want to be protected, but they don’t want to have to pay a yearly fee or use... Read More , web browsers, and media players like iTunes and WinAmp. Check out the All My Apps website for a full list of apps. Allmyapps runs as an application on your computer. You can browse the available software and click the Install button to easily install an app. Allmyapps will automatically download the app and install it for you – there’s no waiting for the app to download and clicking through an installer wizard while trying to avoid unwanted toolbars and other bloatware Begin The Fight Back Against Toolbar Installer Bloatware! [Opinion] Begin The Fight Back Against Toolbar Installer Bloatware! [Opinion] Recently I had cause to install some free video conversion software and was amazed to find so many attempts to fool me into installing additional software, not to mention attempts to upsell at the end... Read More . Allmyapps does it all for you, although some applications may still require you to click through the installer. You can queue up multiple applications to download and install them all at once, saving valuable time. When an application update is available, Allmyapps will notify you. This works even for applications already on your computer before you installed with All My Apps. Allmyapps is an amazing application, as it’s probably the closest thing to a proper Windows desktop app store out there. It’s the kind of application that Microsoft should write themselves and include with Windows. Windows users will probably find it a lot more useful than the Windows Store included with Windows 8 Five Surprising Facts About Windows 8 Five Surprising Facts About Windows 8 Windows 8 is full of surprising changes – whatever you think about Windows 8, Microsoft certainly isn’t being timid this time around. From integrated antivirus protection and less-disruptive updating to the removal of the Windows... Read More , which only installs and updates apps for the “Windows 8 interface” formerly known as Metro. For more information, check out our full review of Allmyapps All My Apps: Centralized App Store for Windows With Lots of Free Software All My Apps: Centralized App Store for Windows With Lots of Free Software Read More . Chocalatey allows you to install Windows software by typing two words. Imagine being able to install VLC by typing “cinst vlc” into a Command Prompt window and pressing Enter. No visiting an application’s website, locating a download link, downloading the file, launching the installer, and clicking through a wizard – just two words and everything will be automatically downloaded and installed. Chocalatey offers over 480 packages. There’s a lot of popular software, including VLC 7 Top Secret Features of the Free VLC Media Player 7 Top Secret Features of the Free VLC Media Player VLC should be your media player of choice. The cross-platform tool has a bag full of secret features you can use right now. Read More , Skype, Adobe Reader, 7-Zip, Paint.NET Paint.NET: The Best Image Editor Available That You Should Download Paint.NET: The Best Image Editor Available That You Should Download We all edit images to some degree. Whether it’s a simple crop or resize, or maybe just adding some text, it’s nice to have an image editor that is reliable, fast, easy to navigate and... Read More , Google Chrome, Firefox, Notepad++, and more. You can view and search the complete list of available software on Chocalaty’s Packages page. Chocalatey is like an apt-get for Windows – you’ll be familiar with apt-get and package managers if you’ve ever used Ubuntu Getting Started With Linux and Ubuntu Getting Started With Linux and Ubuntu You're interested in switching to Linux... but where do you start? Is your PC compatible? Will your favorite apps work? Here's everything you need to know to get started with Linux. Read More or another Linux distribution. Where Allmyapps feels inspired by mobile app stores, Chocalatey feels inspired by Linux package managers and command-line tools. There’s no question that Chocalatey is awesome. With a graphical interface that makes things easier for non-geeks and more available software packages, it could be huge. Want to get started with Chocalatey? Check out our full review of Chocalatey, where we walk you through the process of installing it (as easy as typing a single command!) and installing your first application (also by typing a single command!). 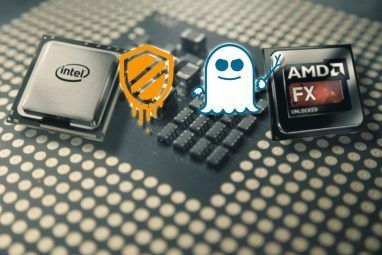 Intel offers their own app store, Intel AppUp, which you may find included on ultrabooks What Is An Ultrabook & Can It Succeed? [Technology Explained] What Is An Ultrabook & Can It Succeed? [Technology Explained] Remember when the word laptop described virtually every mobile computer on the market? The choices were certainly easier back then (because there was simply less choice available), but today there’s a far wider variety including... Read More and other new PCs. Unlike the other applications here, it’s more focused on paid software. However, Intel AppUp offers some free applications, too. AppUp is also a bit more focused on mobile-style software, with its storefront page plastered with Angry Birds and Fruit Ninja (Angry Birds costs $5, but you can get Fruit Ninja Lite for free.) Still, you’ll find some typical desktop software here, including VLC. On the whole, Allmyapps offers more of the applications you’d expect to find in a package manager for Windows. Allmyapps also has much more of a focus on free software. We also have to mention Ninite Ninite - Easily Install All Your Favorite Free Apps In One Go Ninite - Easily Install All Your Favorite Free Apps In One Go Read More , which a lot of geeks love. It allows you to select a variety of popular programs and download a file that quickly installs all of them, saving you lots of time when installing your favorite software on a new computer. Which Windows app store do you prefer? Do you use any of the programs here? Leave a comment and share your experience with them! Allmyapps sounds like just what I'm looking for. http://ninite.com/ is another choice, though it was designed to automatically install certain apps. I'm quite old school, preferring to check for updates myself (being able to read the update log, commentaries from the developers in the front page, etc), but this is an useful list to tell to my friends. Finally I don't have to check their applications manually! Windows can definitely use an integrated package manager just like in Linux. For updating software on windows i use Filehippo checker,it has been serving me for almost a year now. Nice idea, but it looks like it doesn't support as much software as AllMyApps and doesn't have integrated software downloads. We have to make due with imperfect solutions, I suppose.